9 I-League clubs managed to clear the club licensing criteria. On Wednesday, AIFFai??i? ?s First Instance Body cleared 9 I-League clubs of having satisfied the necessary club licensing requirements. Bengaluru FC, Pune FC, Salgaocar, Dempo, Mohun Bagan, East Bengal, Sporting Clube, Shillong Lajong and Mumbai FC were deemed to have qualified for the national license, while the first seven of them were also granted the AFC license, with Lajong and Mumbai FC falling short of the continental one owing to problems relating to their home stadia. It is a new beginning for these clubs, quite a few of whom have been accused of harboring laid-back attitudes with respect to adjusting to the modern times of football. On the same day, however, five other clubs failed to clear the criteria for a national or AFC license. While newly-promoted Royal Wahingdoh will have a year-long exemption, the other four clubs, Churchill Brothers, Mohammedan Sporting, United SC and Rangdajied United will be barred from participating in the 2014-15 season. This comes as a major setback to Indian football, and gives some credence to the accusation labeled at Indian clubs of the latter being run in unprofessional ways. Churchill Brothers have been one of the most successful I-League clubs in recent years, with the Red Machines having won quite a few accolades in the last few seasons. However, the club has been barely up to the mark off the field in recent times. Churchill Alemaoai??i? ?s club is more like a family business, and thereai??i? ?s little the club has done to establish any sort of connection with the local fans. Little effort has been made by the club at the grassroots level. The club has often defaulted in the payment of wages to players, and as one of the top clubs in the country, the club has done little to show Indian football in good light. While the Red Machines are one of the few clubs to have stood up, unsuccessfully, against the Indian Super League claptrap, they have themselves failed to get their house in order. Few could argue against Churchillai??i? ?s removal from the I-League next season. The same, however, is not entirely true for all the clubs facing banishment from the I-League next season. Rangdajied United, for instance, have worked their way up to the top rungs of Indian football in recent years, and have conducted themselves much better than quite a few other I-League clubs. In the U-19 I-League, the club fielded a team of entirely local players, most of whom have been developed within the club, and are expected to make it big in the game. The clubai??i? 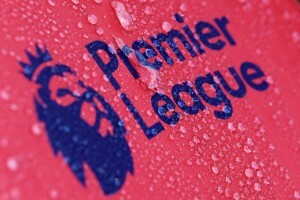 ?s involvement at the grassroots has been much more than quite a few of the clubs who satisfied the licensing criteria. Despite that, the club got the boot for failing to submit documents on time to the governing body. While the club should have done better than make such a juvenile error, there is no doubt that Rangdajiedai??i? ?s I-League expulsion has been a bit harsh, considering it has only been in the I-League for a season. I-League banishment is a huge blow for Rangdajied United. 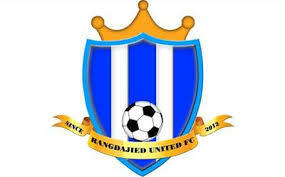 Rangdajied, like 13 other clubs, failed to clear the licensing criteria last year as well. However, it is a bit surprising to note that the newly-promoted Shillong-based outfit was put on the same platform as the already established top-flight clubs while deciding their fate on licensing 12 months back. It meant that Rangdajiedai??i? ?s fate last season was decided without the club having played in the I-League. In all fairness, the Blues reserved immunity from the licensing criteria last year, and should have been judged this year based on their first top-flight season, after which they should have been allowed the one-year exemption if needed. The clubai??i? ?s banishment from the I-League will not only be a huge blow to the management, players and fans, but the clubai??i? ?s youth program will suffer too. AIFFai??i? ?s rather unnecessary strictness with Rangdajied gives the impression that the governing body is desperate to bring down the number of I-League teams in order to keep the top-flight season short, and assist in the better organization of IMG-Relianceai??i? ?s annual two-month long TV soap. All said and done, clubs fulfilling the licensing criteria is a step in the right direction for the I-League. However, it is important that a review is done in Rangdajiedai??i? ?s case. More importantly, now that a majority of the clubs have satisfied the licensing criteria, it is important that the AIFF too starts reinventing itself. In recent years, the governing bodyai??i? ?s activities have laid bare the incapability of the organizationai??i? ?s top brass to help develop Indian football. Womenai??i? ?s football in India lies in absolute shambles, despite the Indian ladies maintaining a decent standing in the international fold. Without the involvement of FIFA, it would not have been possible for AIFF to start and run its academies. Revenue-sharing in the I-League has still not been a reality. The governing body has failed with distinction in developing a proper league structure in the country. Thereai??i? ?s little incentive for low-rung clubs to invest time and money on fighting for an I-League spot. The 2nd Division League is an absolute joke. Clubs like Bhawanipore FC can spend all the money they want, but they wonai??i? ?t be given preference, courtesy of their second place finish in the 2nd Division, to play in the I-League ahead of new franchise-styled sides. One wonders why these clubs even bother to continue their operations given they have little chances of making it to the I-League, now that clubs like Churchill Brothers too will be in the 2nd tier. More than anything else, the Indian Super League fiasco, and the AIFFai??i? ?s subsequent inability to make a proper calendar for the I-League, has laid bare its inability to run Indian football. One can blame the clubs as much as one wants, but the bottom line is that when the father is a dipsomaniac, one can hardly blame the son for not growing up well. It is important that the clodpoles in the upper hierarchy of AIFF step down, and give way to people who do not make an absolute mockery of the organization responsible for the administration of the beautiful game in India.